The meniscus is cartilage that fits between the large bone of your thigh and the smaller bones below your knee. It acts as a shock absorber for your knee. There is one on the middle side and one on the outside of each knee. Knee injuries: meniscal tears can happen during activities that cause direct contact or pressure from a forced twist or rotation. A sudden pivot or turn, deep squatting, or heavy lifting can lead to injury. The meniscus weakens with age, and tears are more common in people over the age of 30. Movements like squatting or stepping can lead to injury in someone with a weak meniscus. If you have osteoarthritis, you’re at higher risk of knee injuries: meniscal tears. Osteoarthritis is a common joint disorder involving pain and stiffness in your joints caused by aging and wear and tear. Each of your knees has two menisci C-shaped pieces of cartilage that act like a cushion between your shinbone and your thighbone. 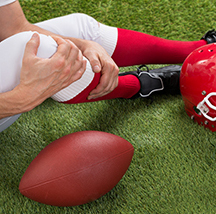 Knee injuries: meniscal tears cause pain, swelling and stiffness. You also might have trouble straightening your knee fully. Symptoms may include a popping sensation, swelling or stiffness. It can cause pain, especially when twisting or rotating your knee. Sometimes that pain can be felt into your shin. It can sometimes feel as if your knee is locked in place. Initial treatment for a torn meniscus often begins conservatively. This includes avoiding activities that aggravate your knee pain. Try to avoid any activity that might cause you to twist your knee. Avoid running, jumping, elliptical and stairmaster machines. Cycling is often helpful once you have had some physiotherapy. Manual movements of your knee by the physiotherapist can often help the knee to feel better. If there is a piece of the meniscus stuck in the wrong place in your knee, a trained physiotherapist may be able to help move it back into place. This often makes the pain better quickly. It can often allow you to get back to your normal activities. Physiotherapy can help you strengthen the muscles around your knee and in your legs to help stabilize and support the knee joint. Custom orthotics, arch supports or other shoe inserts can help to distribute force more evenly around your knee. Custom knee braces may be able to help with knee injuries: meniscal tears. The Bledsoe unloader brace can take pressure off of the injured meniscus and get you back to activities faster. The DonJoy is also a very popular brace that can unload an injured meniscus. Both of these custom knee braces can be purchased at PhysioNow Mississauga. Lastly, there is also DonJoy off the shelf brace that can provide some comfort to unload knee joints. This is a less expensive option.